Now that I finally feel like I've settled back into Belgium (coming back to reality was particularly hard this time), I'm ready to sort through all my Japan pictures and write down what I've experienced, seen, felt and discovered during our recent three week travel through Japan. Japan has a special place in my heart: I love its cities, its nature, its delicious food, its beautiful people and the way it makes me feel. 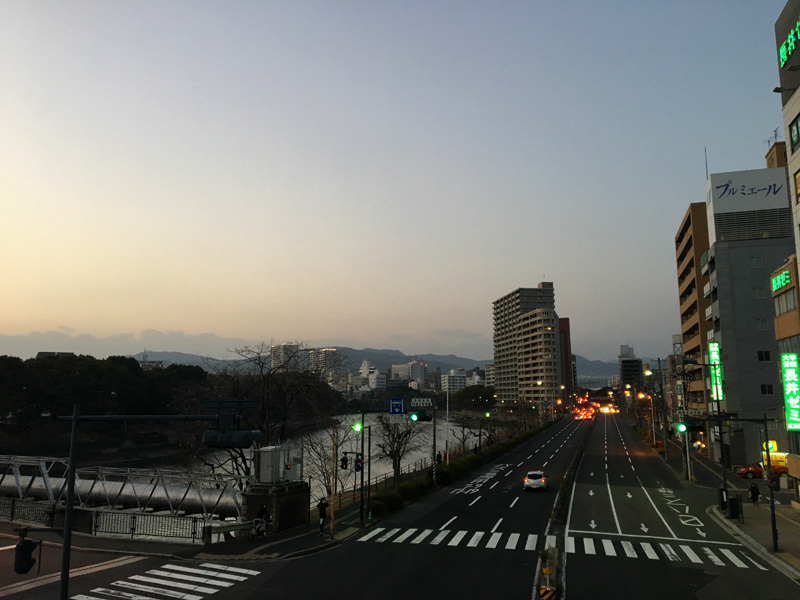 Japan gives me a sense of calm I rarely find at home. 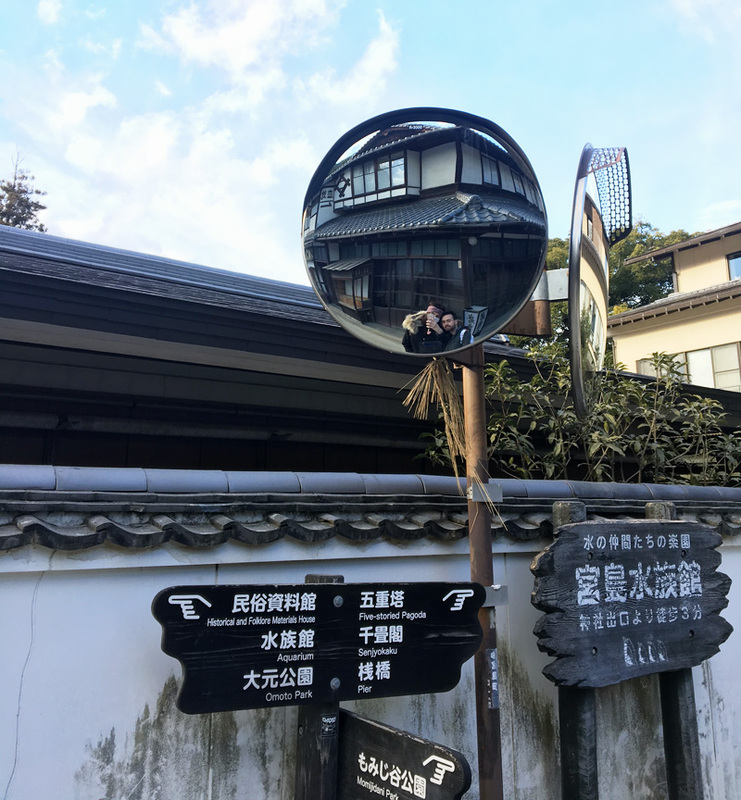 Perhaps it's because you can temporarily turn into someone different when you're traveling, but having traveled often all of my life, no place has made me feel the way Japan does. It's pure magic. Just like last time, I'll break these posts up by city so you can use them as a resource for your future travels. First up: Hiroshima! And just as a disclaimer: I did not take my camera with me on this holiday, so all of the pictures you see in this post are taken with my phone. They might not be the best quality, but they are packed with beautiful memories. 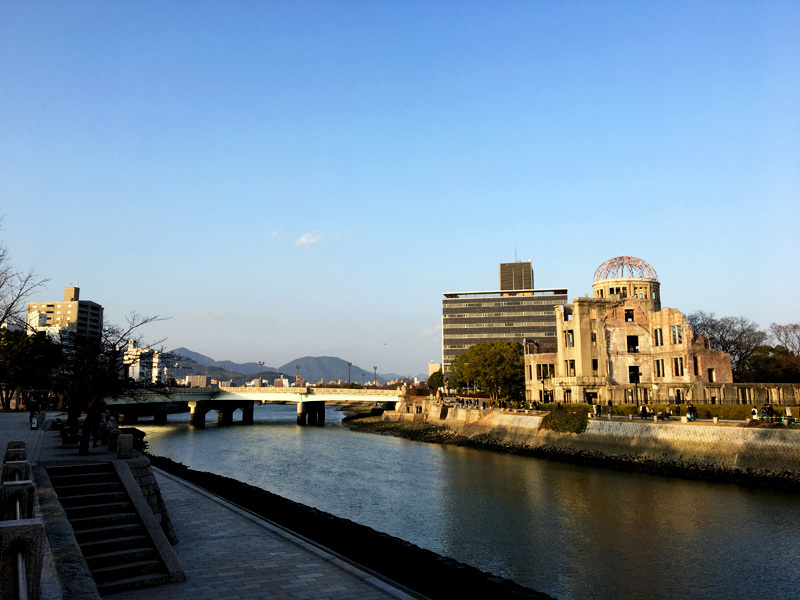 Hiroshima touched my heart in a very special way. 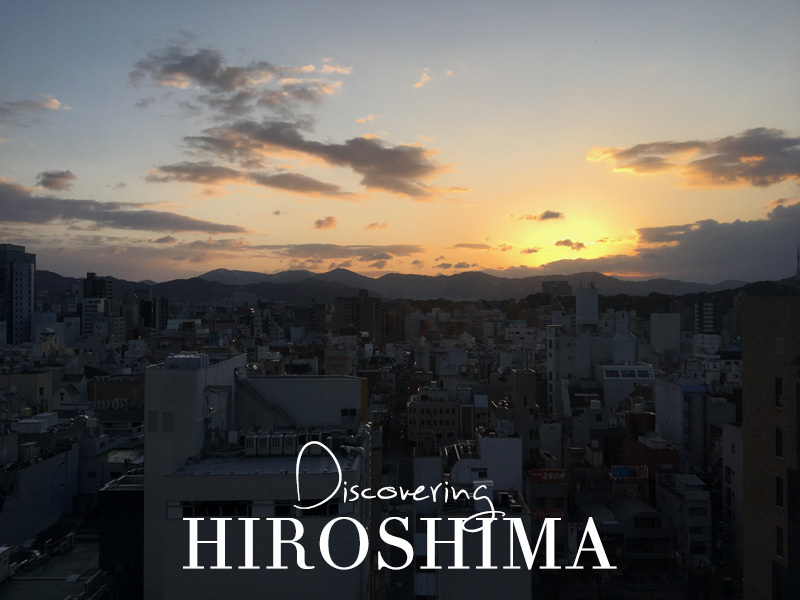 Our first impression was that Hiroshima is decidedly different than Tokyo - a little less formal perhaps - although that might also be because our hotel was situated quite closely to a area with bars and restaurants. Our hotel room (view our hotel here) had an amazing view of the city, which treated us to a breathtaking sunrise that we put our alarms for. The perfect start to any day exploring a city! Our first stop was the Peace Memorial Park: a must-visit for anyone visiting the city. 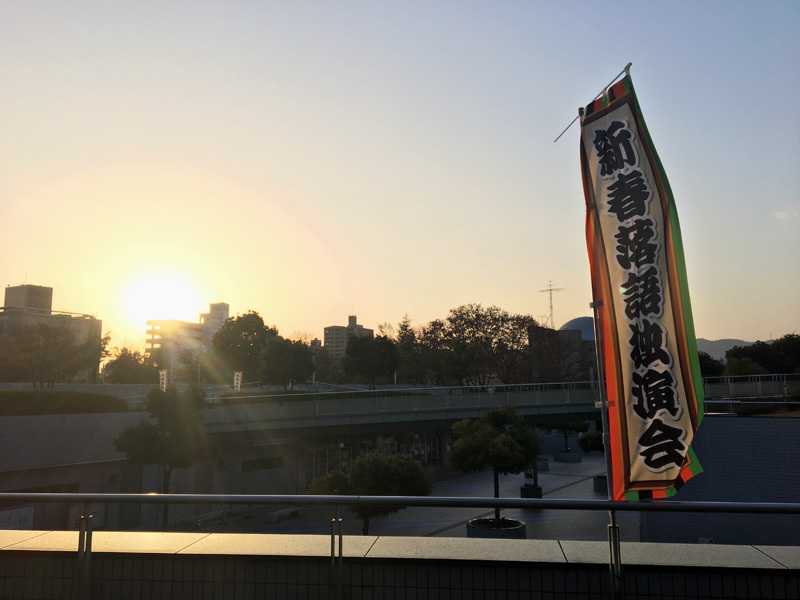 The Peace Memorial Museum which is situated in the park remembers the atomic bomb that was dropped on Hiroshima, its victims and Japan's wish for a war-free world. It's a very serene place, where everyone immediately turned silent watching pictures and reading testimonials. Afterwards we walked on through the park to the A-Bomb Dome, which is now officially recognised as a UNESCO world heritage site. 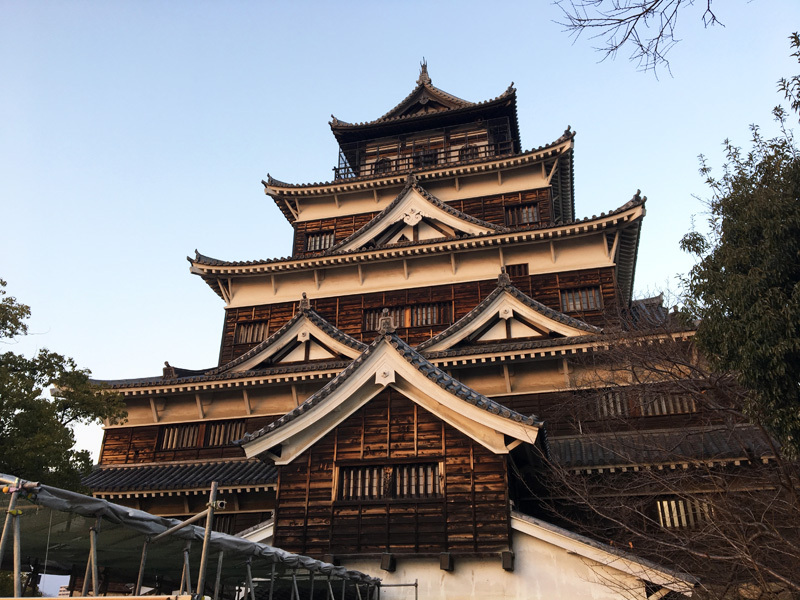 Our next stop was Hiroshima Castle, another site you can't miss if you spend a day or two in the city. Unfortunately the castle is a full replica, because it was completely destroyed. Around the castle you'll also find a shrine, as well as reconstructed ninomaru (defense) buildings. 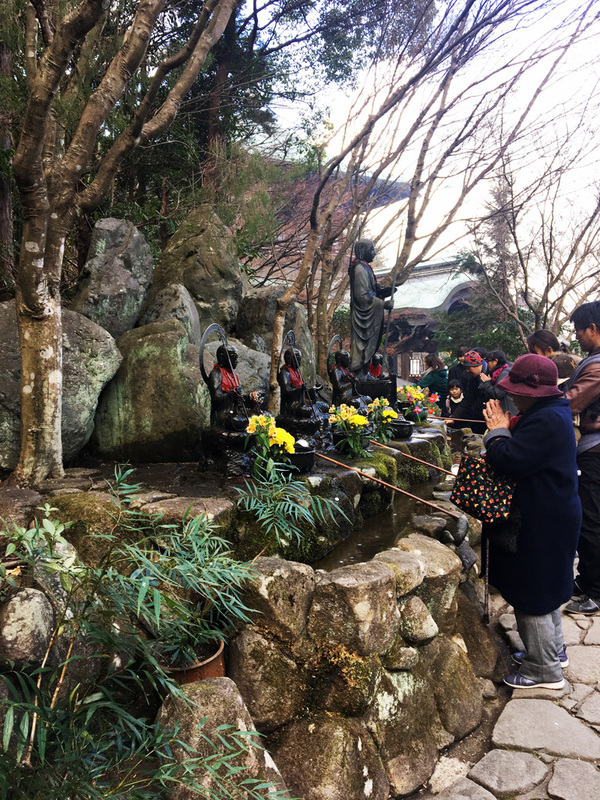 We were lucky enough to visit during the new years period, so found plenty of market stalls surrounding the shrine and ninomaru buildings. 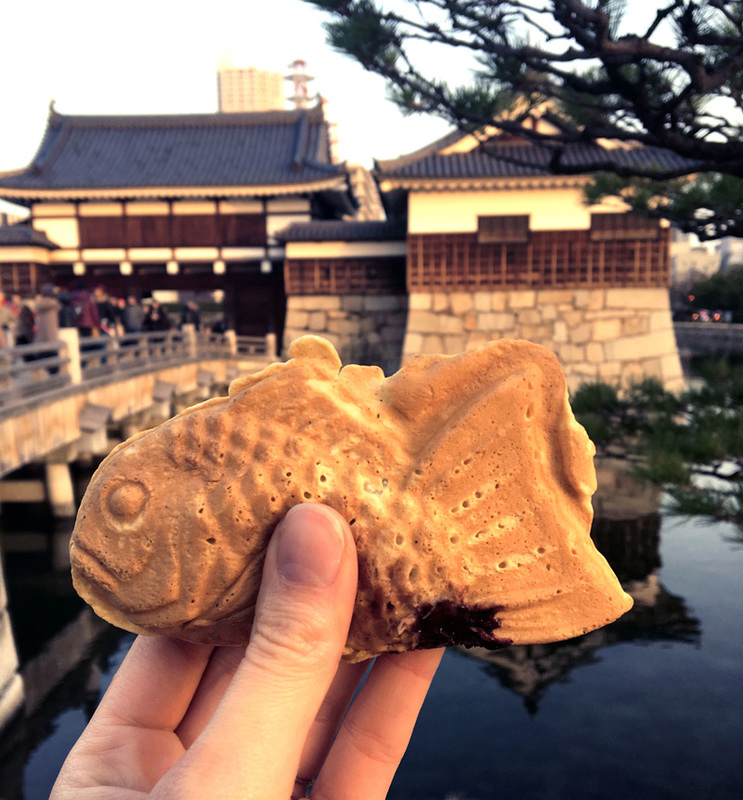 We bought a delicious Taiyaki cake, a soft cookie shaped like a fish, filled with chocolate cream - so yum! When we got to the castle, the sun was setting so we were treated to a beautiful sunset view behind the water surrounding the castle buildings. In the evening we went to a huge mall (Aeon) since we needed to buy a few things (and also because Japanese malls are the coolest), and had Hiroshima style okonomiyaki there. 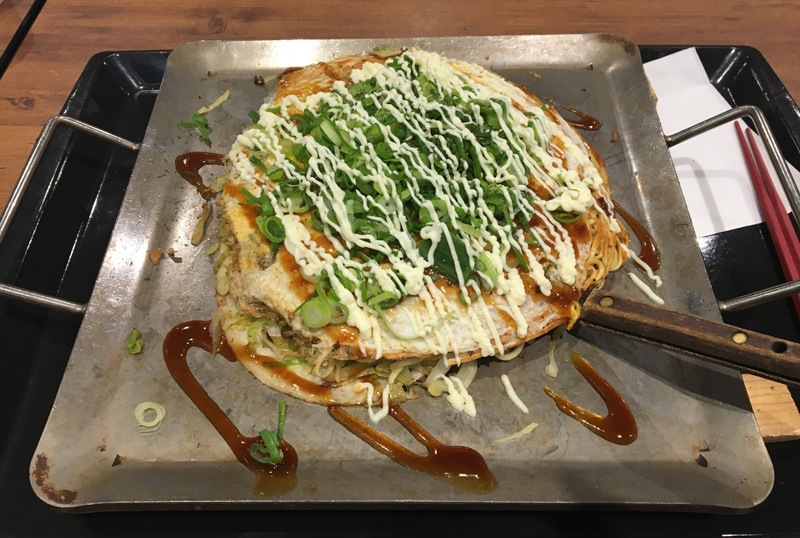 Okonomiyaki is a sort of savory pancake made of flour, eggs, cabbage, noodles, green onion and any toppings you wish. 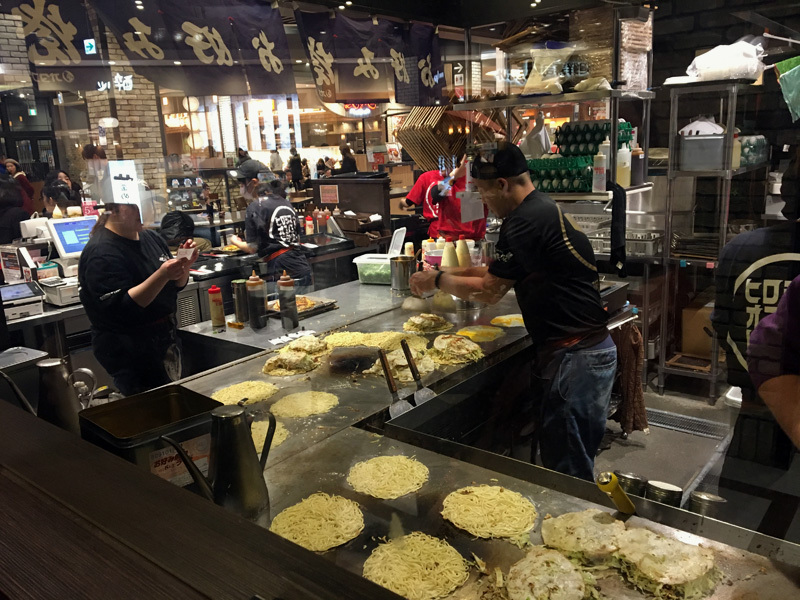 The difference between regular okonomiyaki and Hiroshima style okonomiyaki is that the ingredients are layered instead of mixed, and there's much more cabbage being used. You can see the okonomiyaki is quite thick! We had a delicious version made with shrimp - it was well worth the half hour waiting line. 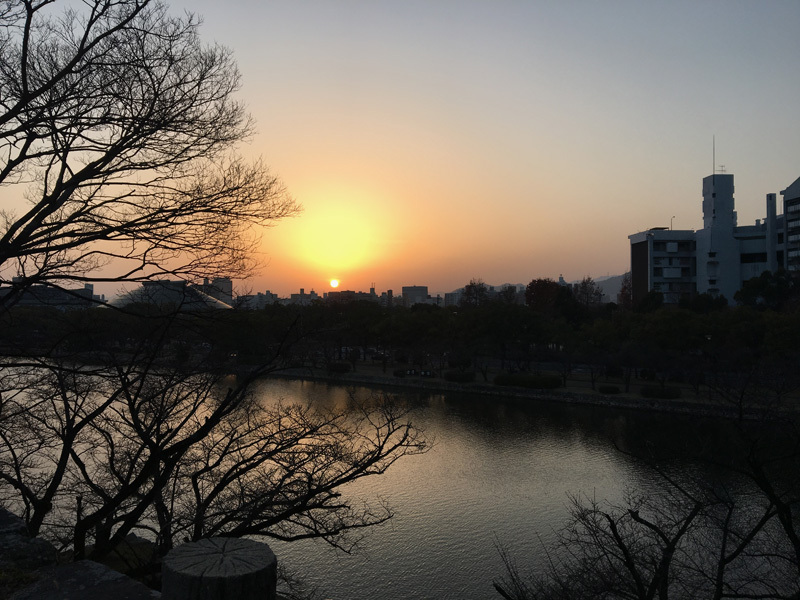 The second day in Hiroshima was one of my very favourite days of our trip. 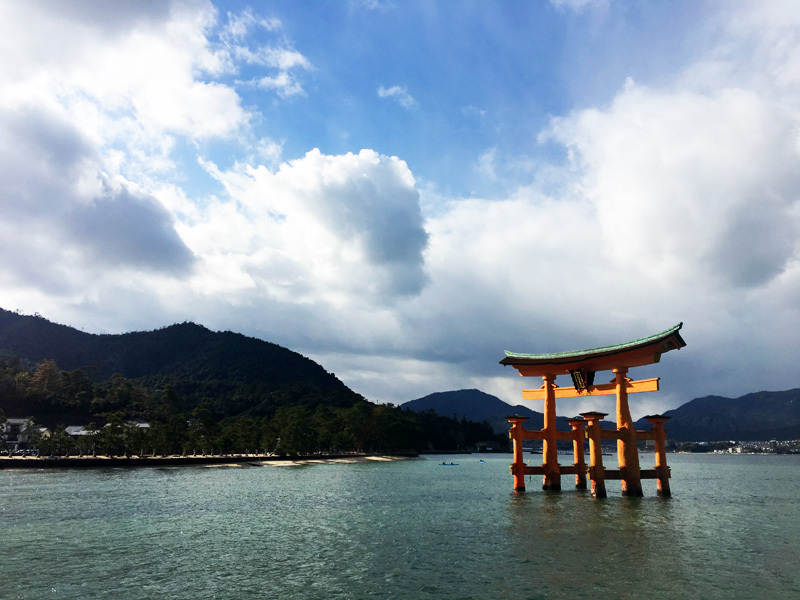 We visited the island Itsukushima, famous for its very large Tori gate that sits in the water with high tide. The island also has many tame deer, that come out from the woods to find food in the village. On top of the mountain, in between the forests, you can find the beautiful buddhist Daisho temple. We visited during the new years festivities, so there were many visitors. It was an amazing experience to both visit this beautiful temple and witness temple visitors' rituals, one that I'll cherish forever and never forget. 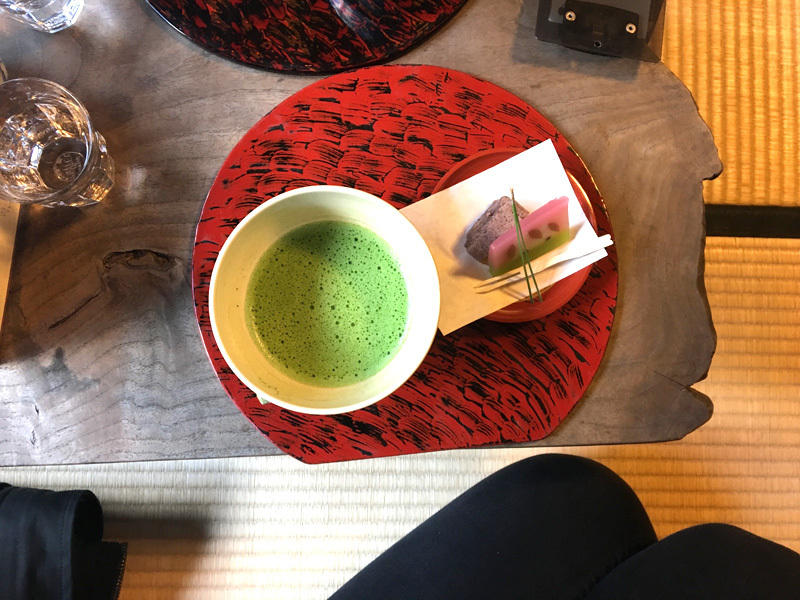 After visiting the temple, we had traditional matcha tea with a Japanese snack at the cutest little tea house we came across: 遊鹿里茶屋 (visit the tea house website here). 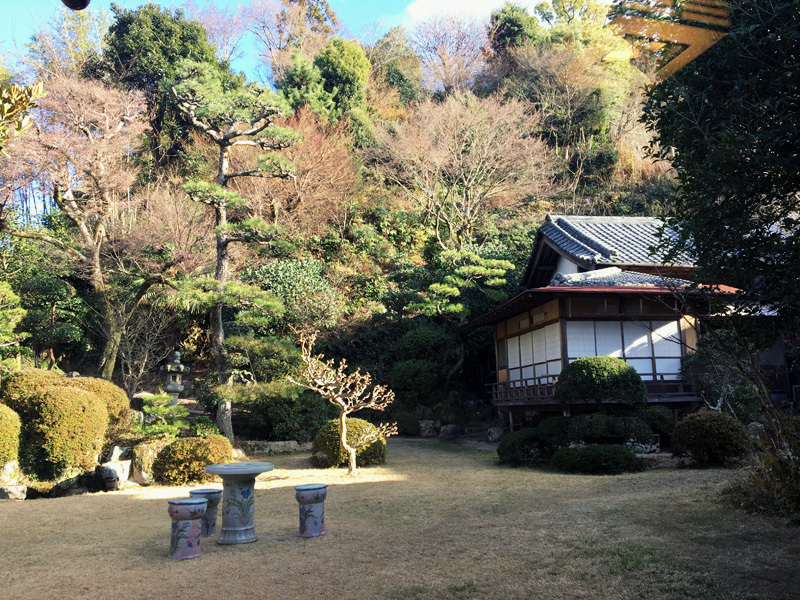 The garden was beautifully planned and maintained in the traditional Japanese way, and could be admired through large windows that spanned over the whole back wall. Matcha tea is so delicious! I know it's been gaining more popularity in the west now, with Starbucks now also serving Matcha Tea Lattes, but I do think that our western versions are much too sweet. Always ask for unsweetened tea! Miyajima has lots of little shops selling souvenirs, but you'll also find delicious local confectionary shops and bakeries. Momiji Manju is a typical local snack filled with adzuki bean jam. The soft cookies have a beautiful maple leaf shape as they were first created for tourists visiting the Maple Leaf Valley in Miyajima. If you don't like the red bean filling (no worries, I tried it and don't particularly like it either) you can also find them with vanilla curd or other popular cookie fillings. 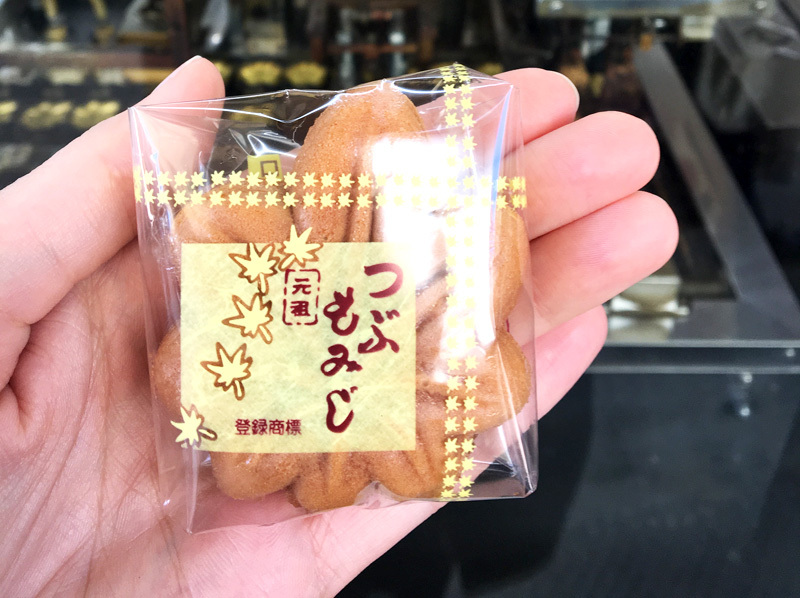 You can also buy fried autumn leaf shaped snacks called Agemomiji, filled with different types of fillings as well. 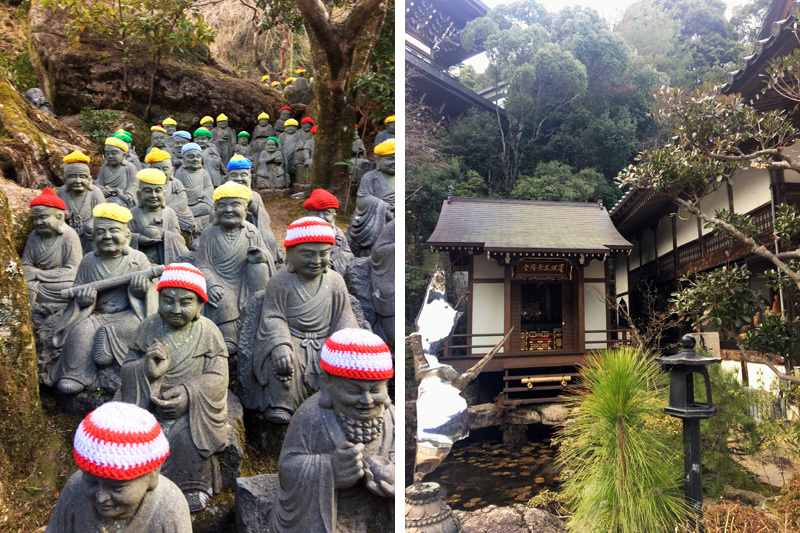 After our visit to Miyajima island, we went back to our hotel to pick up our suitcases and travel on to Fukuoka. 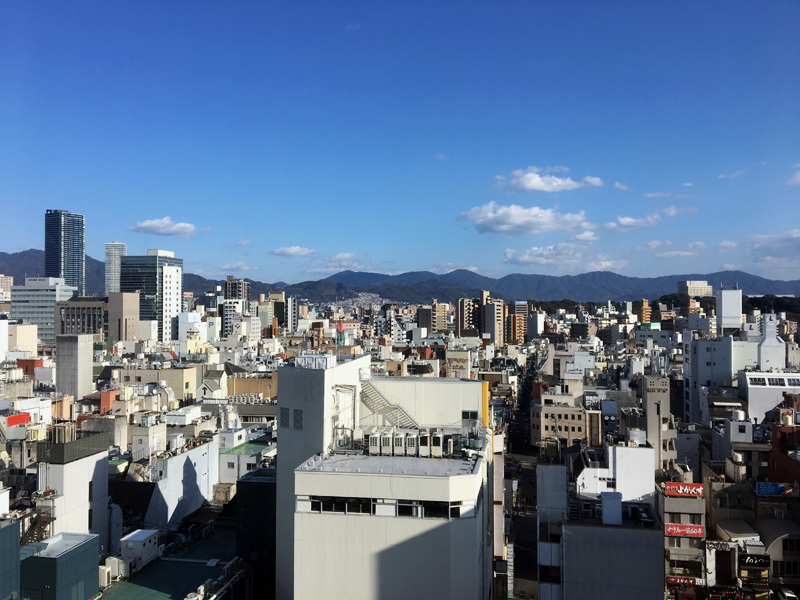 Although it was a very short stay, I'll do a separate post on Fukuoka next!